The popular caller ID and spam blocking app Truecaller has received an update to version 6.60 on Android. The latest app version brings in several Truedialer features, including ‘smart call history’, availability status, and a built-in dialler. Truecaller v6.60’s smart call history feature replaces unknown numbers with real names and faces in the call history inside the app. It is for those phone numbers that are not saved in the device’s contact list. This would let users skip the process to save contacts on the handset’s phonebook. The app update also includes availability status feature, first introduced to the Truedailer app in September last year. The feature shows if the user’s friends or contacts are free to talk before the caller plans to call them. The availability status is set to green if a person is free to take calls; otherwise it is switched to Red if the user in on a call at the moment. The third inclusion on the Truecaller v6.60 is the built-in dialler. 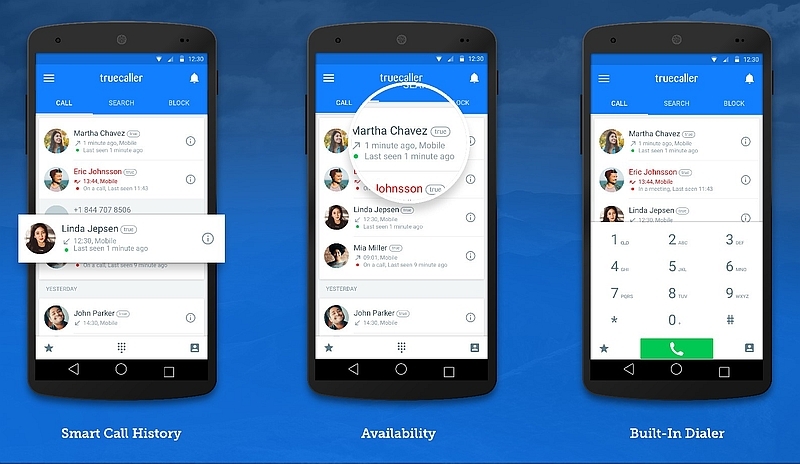 The feature would now let users make calls directly from within the Truecaller app. This would save the time taken to switch back to the handset’s stock dialler to make a call. The latest app version is available to download from Google Play.